Presently, NFL team doctors prescribe opiates to treat players’ injuries despite the crippling side effects and addictive nature of these drugs. A study conducted at the Washington University School of Medicine in St. Louis found that seven percent of the former NFL players surveyed were currently using painkilling opioid drugs. This statistic is more than four times the rate of opioid use in the general population, where an opioid epidemic is raging. Preliminary research indicates that states with legalized medical marijuana laws have significantly lower state-level opioid overdose mortality rates. Despite this promising development and the rise of states legalizing cannabis for medicinal purposes, misconceptions about medical marijuana still abound. In his book, Cannabis for Chronic Pain, Dr. Rav Ivker seeks to debunk the myths surrounding cannabis. 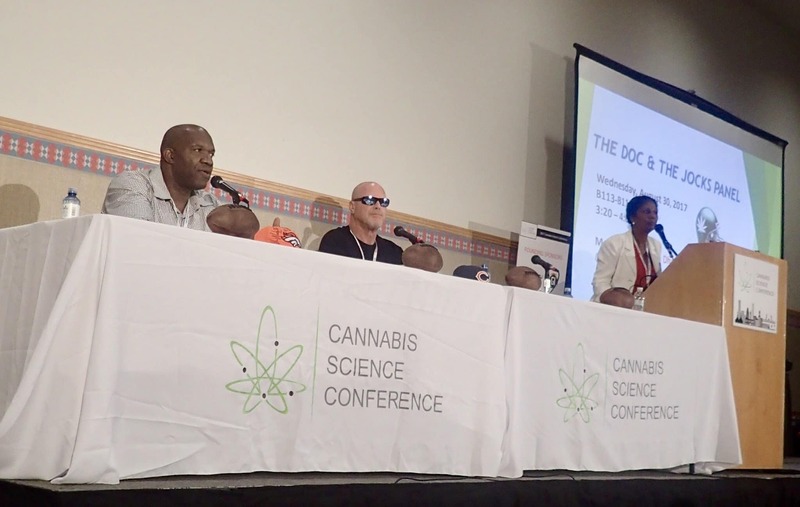 Using his own experience in treating his shingles with cannabis, Ivker expounds on how he uses cannabis at his holistic treatment program in Boulder, CO. For the past six years, he has treated over 7,000 patients by integrating cannabis as part of a holistic medicinal approach. In this book, Ivker dispels many of the misconceptions surrounding this natural plant. He goes into depth about cannabis’ potential as part of an overall treatment plan that also includes exercise and diet. Chapters are dedicated the following illnesses: inflammation; osteoarthritis and rheumatoid arthritis; low back pain; migraine headaches; fibromyalgia; GI-Disease: IBS, Crohn’s disease, and ulcerative colitis; various forms of neuropathic pain (neuropathy, shingles, trigeminal neuralgia, complex regional pain syndrome, dysmenorrhea (menstrual pain); alleviating cancer pain; and emotional pain (anxiety, insomnia, and depression). Ivker addresses pros and cons of various delivery methods for consuming cannabis. He cites there are health risks inherent in any kind of smoking that can produce irritation and chronic inflammation of mucous membrane lining the respiratory tract. These problems are reduced when patients use a vaporizer, but this is still not an ideal solution for those with respiratory problems. Tinctures when administered via a nasal spray or under the tongue provided direct delivery of cannabis without the adverse effects of smoking. Other non-smoking options for consuming cannabis include concentrates, juicing, tablets, capsules, suppositories, and edibles. Each method has its pros and cons that Ivker outlines, thus allowing the patient to choose the delivery method that works best given their physical condition and personal preferences. Be mindful that driving under the influence of cannabis can be similar to the warnings when taking prescriptions pain medications. Both can cause drowsiness and other side effects that can impair driving or operating heavy machinery. Topicals which are administered on one’s skin similar to the application of a sports create can be ideal for those seeking pain relief without any psychoactive effects. As these creams are applied externally, one will not test positive for cannabis on a drug test or face any side effects that can make it difficult for one to operate a motorized vehicle. 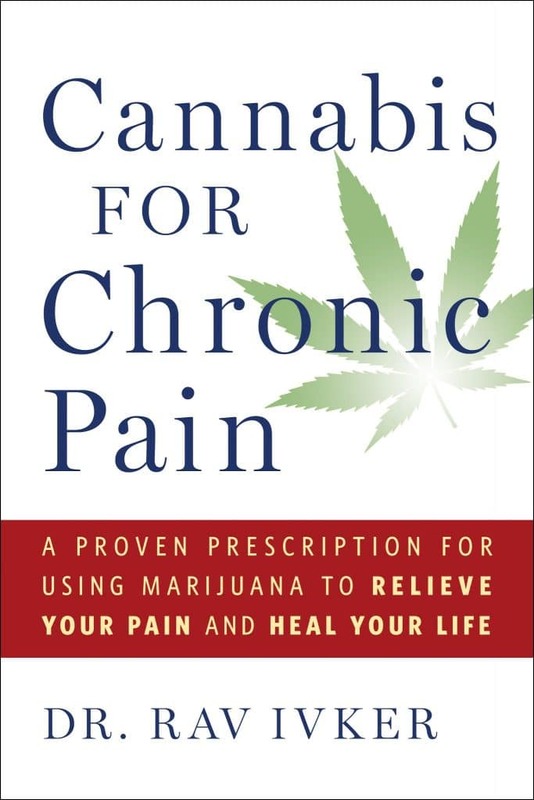 Despite Ivker’s success in treating a wide range of ailments using cannabis as part of an overall treatment regime, this book should not be viewed more as a reference guide than an instructional manual to self-medicate. Consult with a medical professional before beginning the suggested treatments for offered in this book. Also, be sure to review the current state laws relating medical marijuana. As long as cannabis remains classified a scheduled 1 drug with no perceived medicinal benefits, researchers remain faced with immense difficulties in conducting clinical trials testing the efficiency of cannabis as a viable treatment option. Limited evidence suggests that cannabis may alleviate neuropathic pain in some patients, but insufficient evidence exists for other types of chronic pain. Further research is needed to verify the anecdotal evidence provided by users of medical marijuana like Washington and McMahon that cannabis has proven to be an effective treatment for their chronic pain.